Carlos Febles, Portland's manager for the past two seasons, lands his first coaching job in the major leagues. 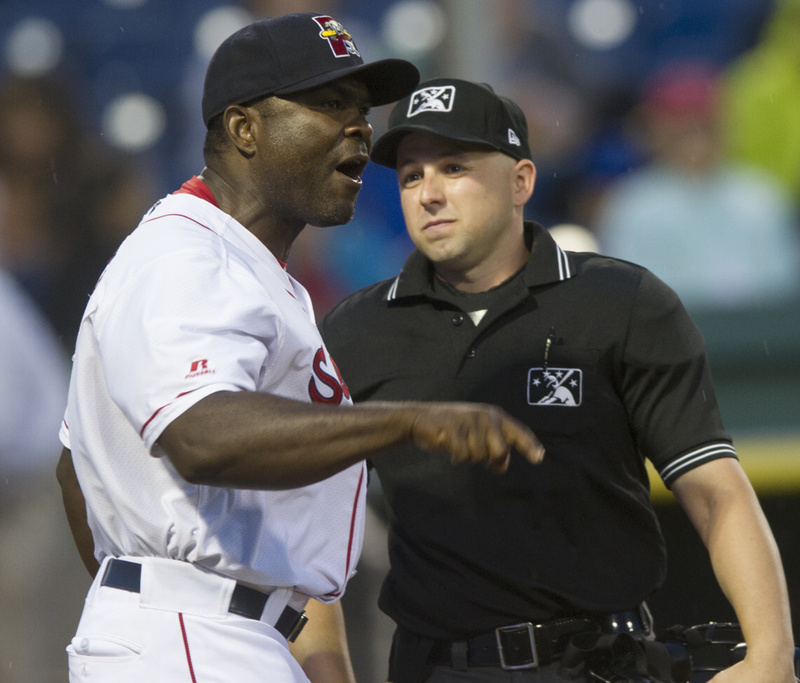 Portland Sea Dogs Manager Carlos Febles will become the new third-base coach for the Boston Red Sox, the team announced Thursday. Febles, 41, was the Sea Dogs manager the past two seasons. He replaces Maine native Brian Butterfield, who took a similar position with the Chicago Cubs. The Red Sox also announced two others additions to the coaching staff of their new manager, Alex Cora. Ron Roenicke, 61, will be the bench coach. Roenicke managed the Brewers from 2011 through part of 2015. Since then, he’s been the third-base coach for the Angels. Tom Goodwin, 49, is the new first-base coach. He coached first base for the New York Mets the past six seasons. Before that, Goodwin was a minor league instructor for four years with the Red Sox. Dana LeVangie, 48, is returning as the bullpen coach. The Red Sox have yet to announce replacements for batting coach Chili Davis (now with the Cubs) and pitching coach Carl Willis (now with the Indians). This will be Febles’ first coaching job in the majors. A major league second baseman with the Kansas City Royals (1998-2003), Febles ended his playing career with the Red Sox Triple-A team in Pawtucket in 2004. Boston hired him as a minor league coach in 2007, and he worked his way up the system. Portland went 120-158 under Febles. He was credited with helping Yoan Moncada jump from Class A to the Sea Dogs to the majors in 2016, and Rafael Devers’ climb from Double-A to Triple-A to the Red Sox in 2017. In addition to his third-base duties, Febles will instruct Red Sox infielders. In other moves, the Red Sox added outfielder Bryce Brentz and left-handed pitcher Williams Jerez to the 40-man roster, keeping them from hitting the free-agent market. Left-handed pitcher Robbie Ross and infielder Josh Rutledge were removed from the 40-man roster and have opted for free agency. Boston also exercised 2018 contract options on pitchers Chris Sale and Craig Kimbrel and reinstated infielder Marco Hernandez and pitchers Tyler Thornburg and Steven Wright from the 60-day disabled list.